Honda Accord Key gets HOT!!! Is anyone else out there having problems with their Honda Accord ignition key getting really hot? My key is getting hot to the point where it can burn your hand. I mentioned this to both Honda and the dealer and they have never heard of it. My wife had a Honda some years back and experienced the key getting really hot. Does anyone out there know anything about this. The dealer and mfg are not helping. Looking for things to do this Summer in LA….. Here’s a good start. RSVPand a sense of adventurerequired! P.S. : The fun continues all weekend long with ARTscape weekend, June 2224. Enjoy free admission to the museum, plus films, classes, and concerts for the whole family! For a full schedule of weekend activitiesand to RSVPvisit https://www.lacma.org. I thought this was a pretty funny image found online. No source. 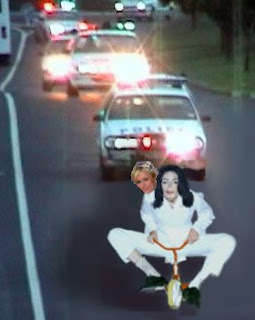 Paris Hilton pulls and OJ with Michael Jackson. Anything to keep out of jail.